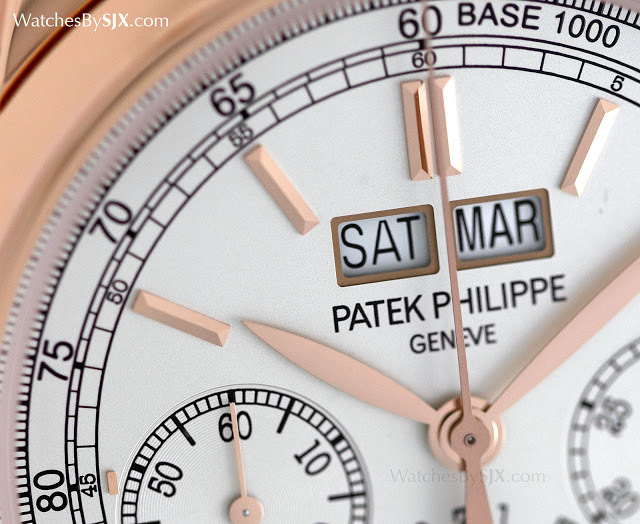 Introduced for the first time in rose gold at Baselworld 2015, the Patek Philippe Ref. 5270R is another addition to the firm's lineage of perpetual calendar-chronographs. 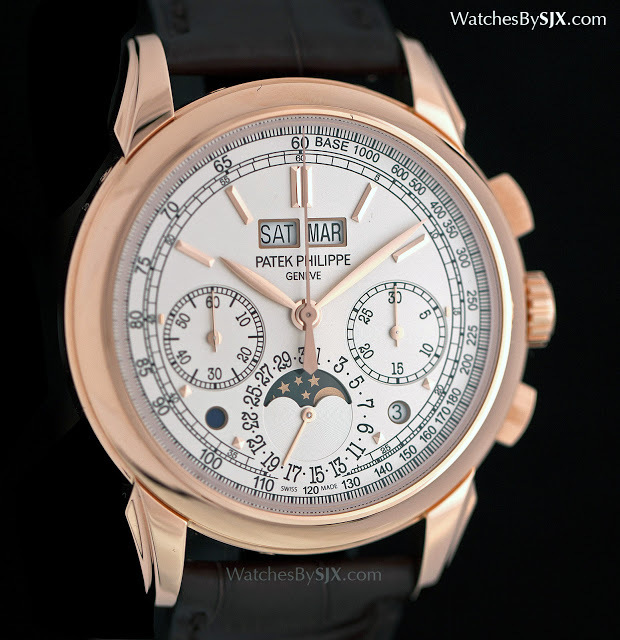 The signature complication of Patek Philippe over decades, successively the refs. 1518, 2499, 3970, 5970 and now the ref. 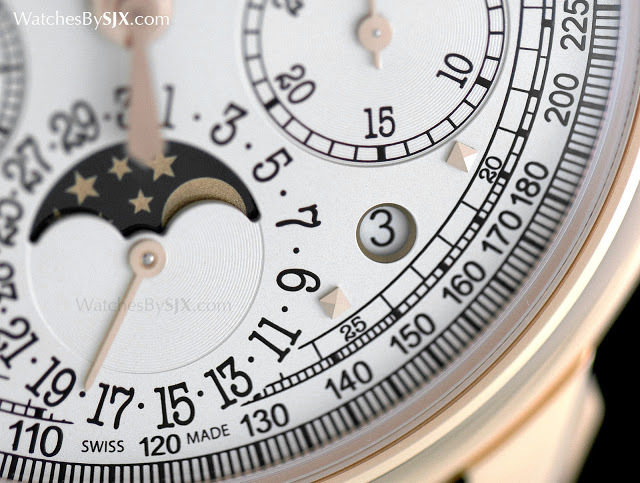 5270, the fifth generation of the perpetual calendar-chronograph is finally coming into its own after several false starts (most notably the 6 o’clock “chin”). Recently introduced at Baselworld 2015, the ref. 5270R takes a conservative approach, with the classic combination of a silver-opaline dial and warm rose gold case – and no chin. This style of dial was first found on last year’s diamond-set 5271P, and looks to become the standard template for the 5270. 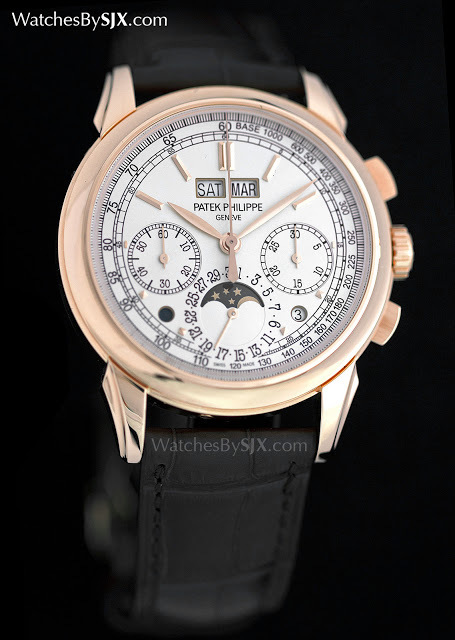 The outmost scale is a 1/5 of a second chronograph track, one that’s not particularly precise since the movement runs at 28,800 bph which gives 1/8 of a second resolution. Then it has a tachymeter calibrated for 1000m or 1km, followed by the minute track. 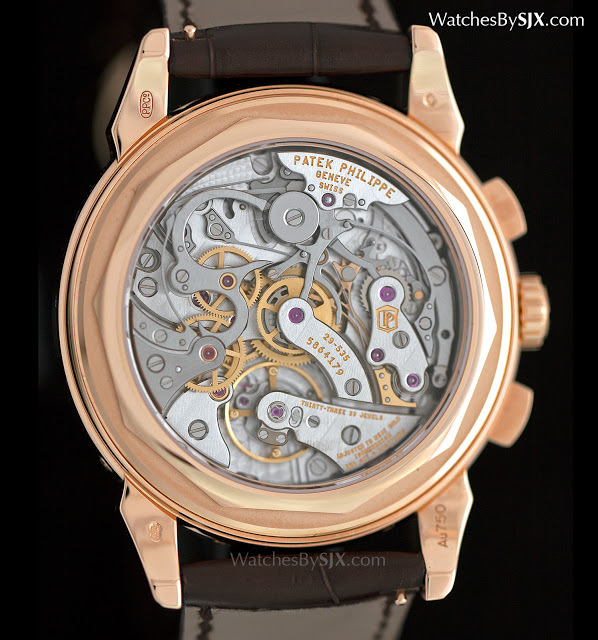 This fills up the dial nicely – the case is a large 41mm – something that was missing on the very first 5270G. The leaf hands are in the same style as the other 5270 references, but not quite as elegant as more classic, tapered leaf hands like those found on the first and second series 3970. These hands are full, and quite large. The notorious “chin” has been removed from six o’clock, leaving the date display to intersect with the minute track for the time. That does not affect the chronograph reading, since the seconds scale remains intact. The case is identical to all other 5270 references, with sleekly curved lugs that have an elegant concave bevel along their length, a minor but important detail since concave forms are harder to achieve. 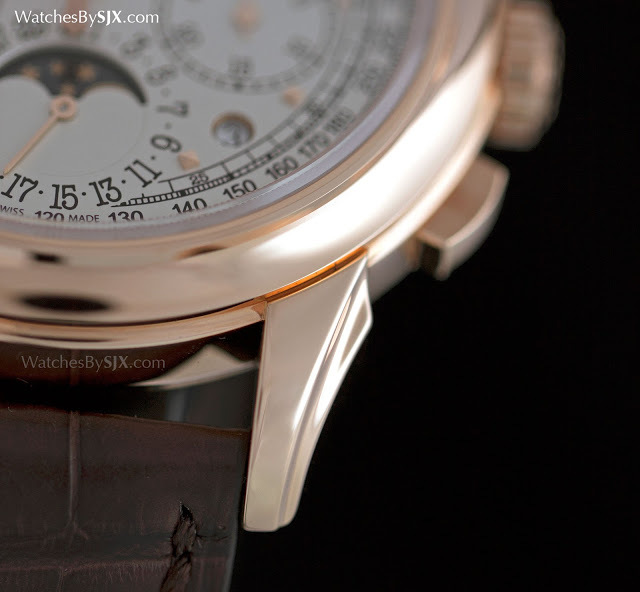 Patek Philippe has made great strides in its case construction, compare a 1990s ref. 3970 with this and the improvements in complexity and construction are obvious. 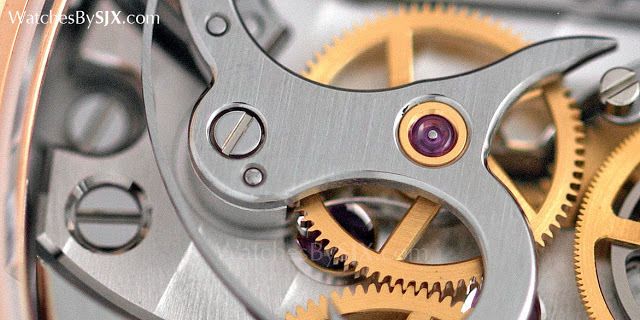 Turn it over and the CH 29-535 PS Q movement is revealed. 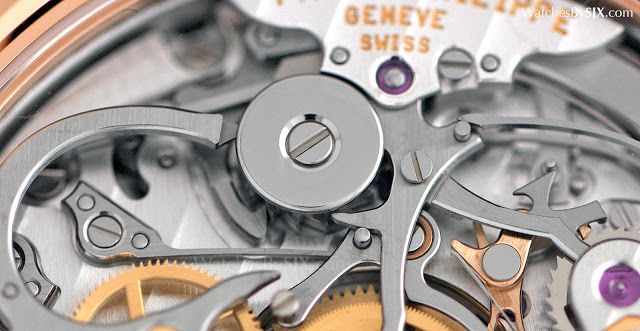 The CH 29 is one of the most sophisticated high-end chronograph movements, with features like patented teeth profiles and a jumping minute counter that separate it from its rivals that are much more traditional and low-tech. 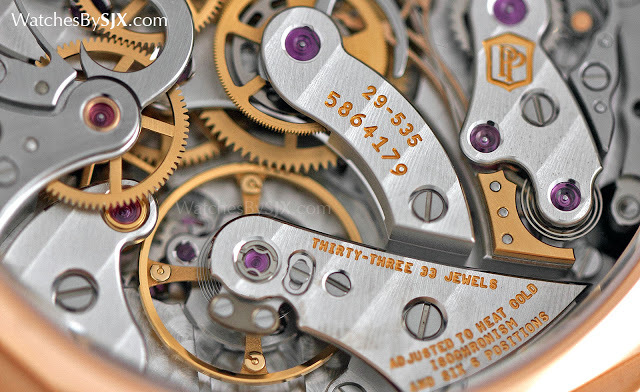 Visually, however, the CH 29 is not much to shout about, with the Lange Datograph movement looking distinctly more lavish and attractive. The ref. 5270R will cost US$164,000.